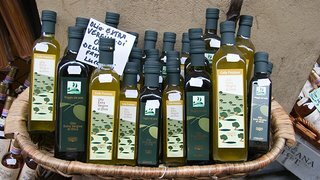 Your tour begins in Tuscany after your overnight flight from Boston. 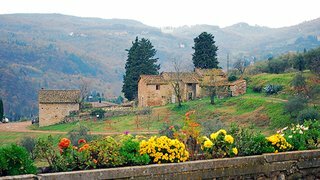 Tuscan Landscape FlowersPrepare to settle in for your relaxing three night stay at a traditional Tuscan estate. Highlights include an interactive pasta demonstration with the winery’s onsite chef, plus an authentic Tuscan dinner expertly paired with wines. 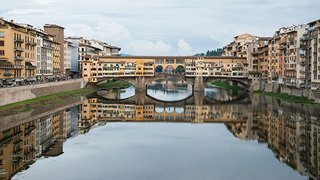 Florence Ponte VecchioYour third day is open. 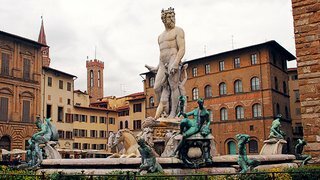 Why not join a local Florentine guide to see the city’s famous sites like the Piazza del Duomo? 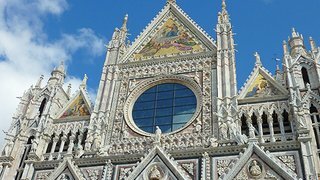 Or maybe join your local guide and explore some of Florence’s lesser known treasures like the Piazza Santa Maria Novella,and the San Lorenzo market. 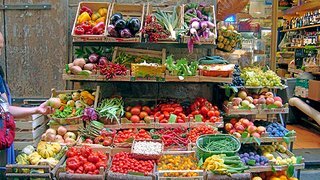 Florence VeggiesOn day four, journey through Tuscany’s hillsides to the medieval city of Siena. 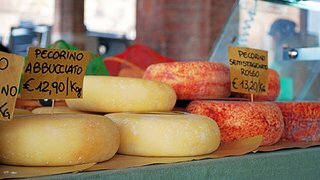 After a walking tour with a local guide, explore the specialty shops and outdoor cafes. 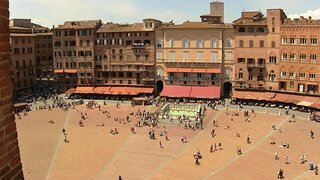 After, you’ll visit one of the oldest wine estates in the Siena region. 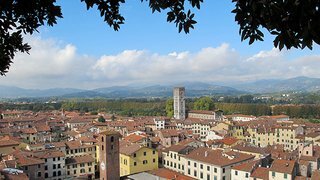 Your day five journey to Italy’s picturesque Riviera starts with a stop in Lucca to see the cathedral of San Martino and Piazza Napoleone. Next, a visit to Pisa and the Leaning Tower. 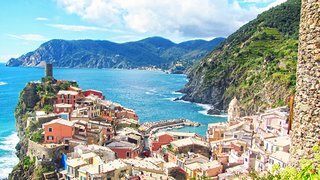 Then, on to the spectacular Italian Riviera for your three night stay. Explore the colorful cliffside villages of the Cinque Terre with a local guide. Then, journey by rail along the picturesque coastline, dotted with terraced vineyards and charming fishing villages. 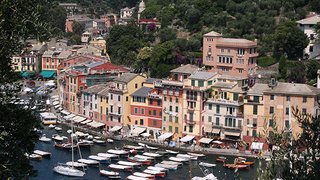 PortofinoOn your last full day you’ll board a boat to glamorous Portofino, with its colorful harbor and amazing views. That night, enjoy a farewell dinner with your fellow travelers. Then it’s off to the airport as your journey comes to a close. For bookings made after Oct 22, 2018 call for rates.